Somatic Reprogramming® is a holistic authentication process for the body, mind and spirit, developed by Cassandra Ogier. Through somatic exercises aligned with herd structure and non-verbal communication of our horse partners, participants are able to strengthen their centered presence. This centered presence enables them to make decisions for themselves and others based on the truth of what is happening in the moment, rather than trauma based responses associated with past experience. Our bodies hold stored memory of trauma, shame and oppression. When we challenge ourselves through certain movements associated with claiming our individual right to space, boundary setting and honoring our inner wisdom, we release the need to protect, defend, prove or dissociate. The action of our bodies shows us our true, genuine and valid potential thus allowing the ability to stay grounded and authentic, whilst being able to perceive and hear the needs of others, a group or herd without compromise to oneself. 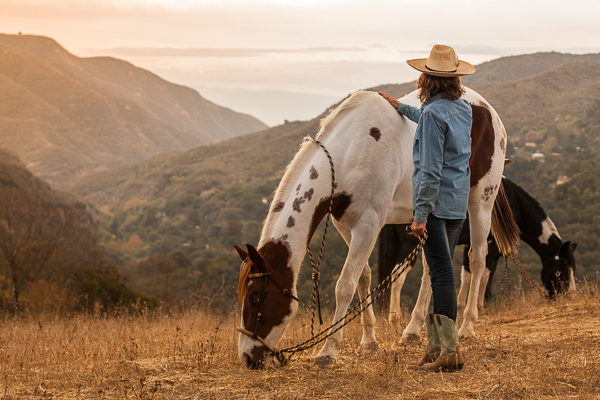 Somatic Reprogramming® verifies the identity of our true nature, intuition and somatic presence through embodied action and reflective association with the structure of a horse herd. Talking and thinking our way to life changes alone does not work. We offer a holistic, embodied approach to changing our actions and reactions to support our empowered leadership and direction in the world.